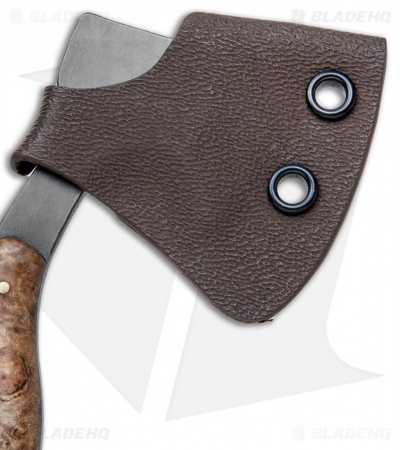 This Lil Billy Bad Axe has a black finished blade and a box elder burl wood handle. The T.M. 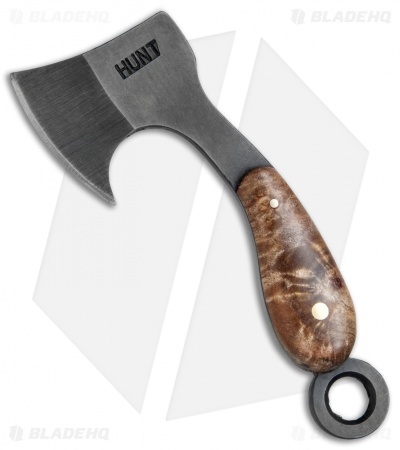 Hunt Lil Billy Bad Axe is a mini axe designed for pocket or keychain carry. 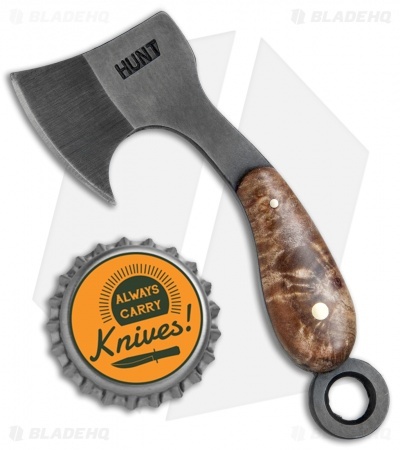 It features a full-tang O1 steel build with a black finish and a built-in lanyard/key ring hole. Each piece is made with the same incredible attention to detail, and offers a razor sharp edge for smaller daily cutting tasks. Their small size makes them perfect for keychain, necklace, or pocket/purse carry. Includes a secure Kydex sheath.